New York banking giant Citigroup Inc. may be developing a new way to securitize cryptocurrencies without having to actually own them. According to Business Insider, Citi is creating a less risky alternative for institutional investors seeking exposure to cryptocurrencies without actually having to own them. The new product, known as a Digital Asset Receipt (DAR), was developed jointly by the bank’s depository receipts and capital markets origination teams. A digital asset recepit is similar to the American Depository Receipt (ADR), which allows U.S.-based investors to invest in global stock markets. ADRs are essentially proxies for foreign equities that are held by banks and issued to investors as a depository receipt. Citi has been in the ADR business since 1928. Although Citi will issue the digital asset receipts, a custodian will be responsible for holding the underlying cryptocurrencies. According to CCN, Citigroup will notify the Depository Trust and Clearing Corporation whenever a receipt is issued. Reports indicate that Citigroup has been working on the DAR product for the past two months. 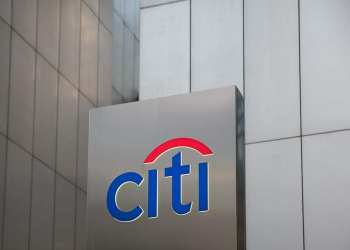 Insiders have also confirmed that Citi has informed its internal branches that a new DAR product is being developed. The creation of a digital asset receipt that is fully compliant with existing regulation could spearhead wider adoption among institutional traders and hedge funds. The proposed asset would also make Citigroup the first bank to nearly trade physical bitcoin, a move that could catapult it to the front of the digital adoption race. Goldman Sachs is also looking for new ways to bring cryptocurrency trading to traditional investors. According to company CFO Martin Chavez, Goldman is currently developing “non-deliverable forwards” for cryptocurrencies, which are over-the-counter derivatives that reference the bitcoin-dollar price across multiple exchanges. In addition to Goldman Sachs, Wall Street’s Bank of New York Mellon Corporation, JPMorgan Chase & Co and Northern Trust Corporation have all expressed interest in offering regulated cryptocurrency products to institutional investors. Blockchain companies such as Coinbase, BitGo, and Circle have also been in talks with regulators about developing new custody services for cryptocurrencies. Coinbase recently unveiled a suite of new services designed for institutional investors. Coinbase Custody is marketed as “digital asset custody for institutions,” and provides segregated cold storage, financial controls, and insurance.